Before I gave birth a week ago, I was almost sure of my decision of not giving anyone presents this coming Christmas. Budget and time were too tight for such. It all went to shopping for the new baby's stuff. Lo and behold! The gods of food (also gods of happiness, methinks) heard my silent plea - I was sent with boxes and boxes of sweet treats from Lemon Square! With my grateful heart, I made a mental note of who to give those to. My first in the list - the doctors, nurses and interns in the hospital where I gave birth. 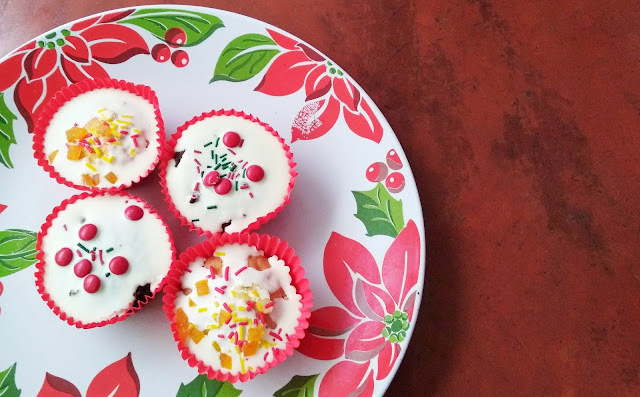 In the box of my simple and sweet token of thank you were the usual #baonserye favorites - Cheesecake, assorted cupcakes and Whatta Tops. 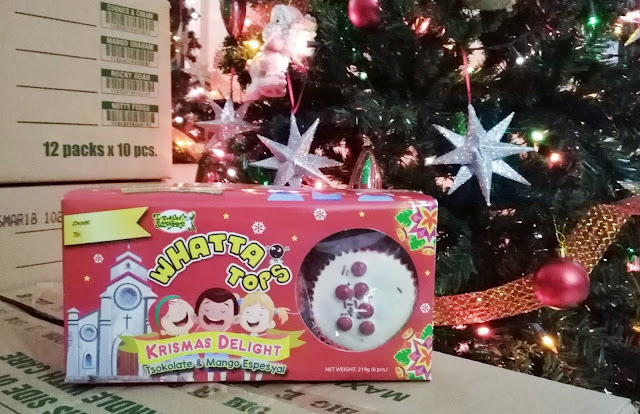 What made it a bit extra special was the Whatta Tops Krismas Delight box! 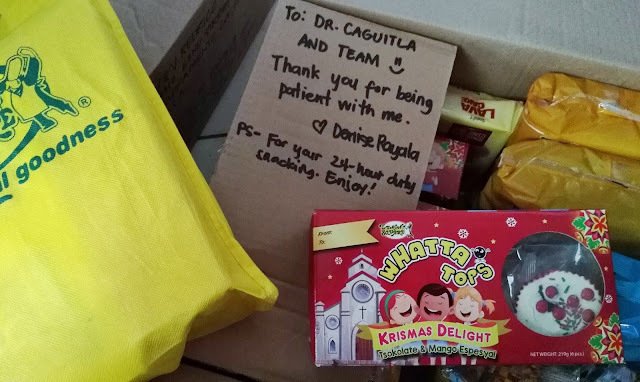 It's a red Christmassy box with six pieces of limited edition Whatta Tops flavors - Mango and Tsokolate Espesyal. My husband and I gave both flavors a taste test and according to my sweettooth guy, he found the mango flavor interesting. What's also interesting is its price! It's just 50 pesos, my dear fellow queens. Hindi pa hard-to-find 'cause it's readily available in supermarkets. So instead of candles, mugs or cheap home decors (lol) that become kalat eventually, why not try giving these away. Mura na, nakaka-happy pa! You can still make habol later for your last minute Christmas shopping. Gorabelles na! This post is sponsored by Lemon Square but all thoughts and opinions are my own.